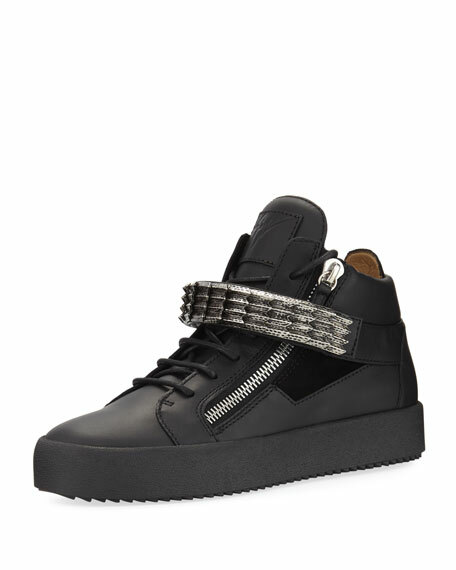 Giuseppe Zanotti "Stan" mid-top sneaker in leather with suede details. 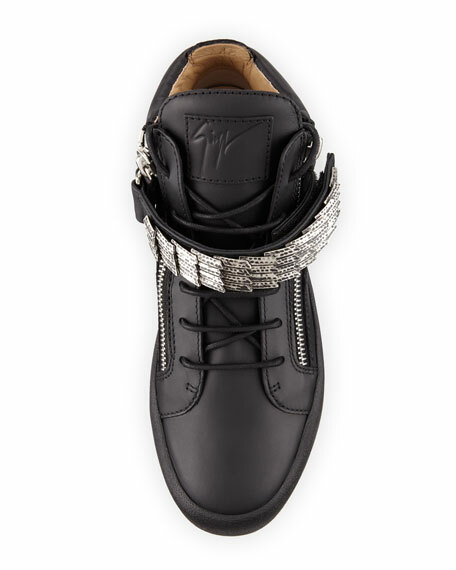 Ridged metal grip-strap at vamp with snakeskin texture. Tonal logo-embossed patch at tongue. 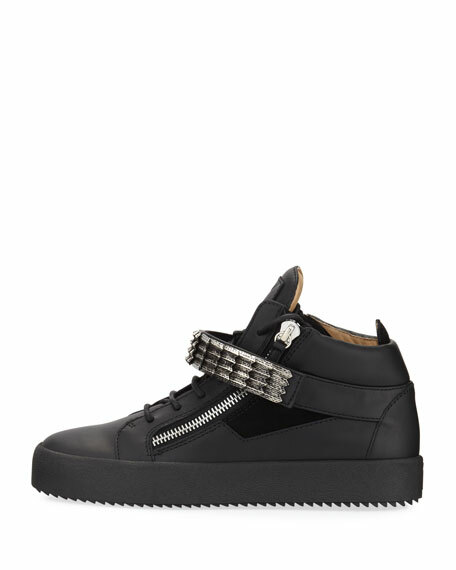 For in-store inquiries, use sku #2246629.